ISLAMABAD: The Supreme Court (SC) on Thursday declared the appointment and monetary benefits bestowed upon Attaul Haq Qasmi, the former chairperson and managing director of Pakistan Television (PTV), as illegal. 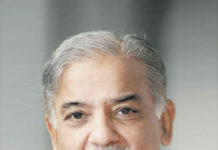 In a short order read out by Justice Umar Atta Bandial, the court held former ministers Pervez Rashid and Ishaq Dar as well as former principal secretary to the prime minister Fawad Hassan Fawad responsible for Qasmi’s appointment and the financial benefits he had received, Dawn has reported. The court declared Qasmi as a “beneficiary of illegal acts”. 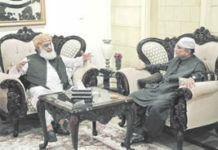 Rashid and Dar are guilty of “[ignoring] the law and disregarded their duty to confer benefits on Mr. Qasmi”, while Fawad is guilty of his “failure to act with due diligence in processing the summary for appointment of the Director of PTV from a person-specific recommendation as opposed to a panel of three names as required by the Esta Code”. A three-member Supreme Court bench headed by Chief Justice of Pakistan (CJP) Mian Saqib Nisar had heard the suo motu case and reserved its verdict earlier this year. In its detailed order, a copy of which is available with Dawn, the top court pointed out the “irregularities/illegalities” in Qasmi’s appointment as managing director as well as the chairman of the state broadcaster. “Summaries were moved for relaxation of the upper-age limit of 65 years for such appointment and for the approval of a handsome salary package of Rs.1,500,000/- in addition to other perks,” the verdict said. The bench also noted that a “sum of Rs284,163,733 was paid to [Qasmi for] expenses incurred by him or on his behalf”. The verdict further said that PTV is a public sector entity, therefore, Qasmi’s appointment and the perks granted to him were open for scrutiny “particularly considering the seemingly arbitrary manner in which he was appointed, despite being overage”. The court order held Qasmi responsible for PTV’s “sharp decline both financially and in its reputation” because he lacked the “skill and experience of running a company”. The detailed verdict mentioned that during the course of the case, the attorney general had informed the court that the PTVchairperson is elected by its board and that the government or the Ministry of Information, Broadcasting and National Heritage (MOIBNH) has no role in the decision. However, Qasmi’s counsel had argued that the appointment of Qasmi was made on the recommendation of the federal government that “exercised its discretion that it thought fit at the relevant time and this court has no jurisdiction to interfere with such discretion/decision making power”. The verdict acknowledged that under Article 83 of the Articles of Association of PTV, government has the authority to nominate directors to the board — as pointed out by Qasmi’s lawyer — but deemed the argument irrelevant as it refers to the appointment of directors and not the chair. The bench also questioned the grounds of Qasmi’s appointment, saying that in order to run an entity like PTV, “business management skills and experience of running a big company are the basic requirements for an MD/chairman”, remarking that these requirements were not considered by the government. Furthermore, the verdict noted that the summary of the terms and conditions of Qasmi’s appointment, that was sent to the prime minister by the MOIBNH, mentioned that the former chairperson’s monthly salary of Rs1,500,000 was “slightly higher” than that of his predecessor, Muhammad Malick who received Rs1,380,000. Five days later, under immense pressure, he was replaced by then information secretary Sardar Ahmed Nawaz Sukhera, who was appointed as acting MD at the time. The two had developed differences, which led Qasmi to resign in December last year saying that it had become “increasingly difficult… to work for the restoration of [the] past glory of PTV”.